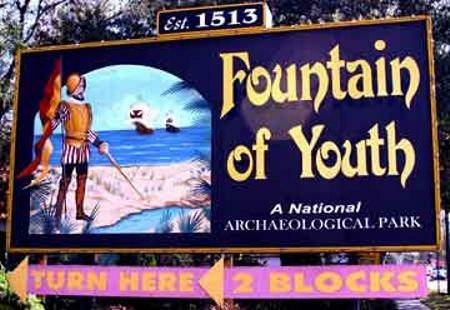 North of St Augustine, Florida, Deleon Springs State Park is home to the Fountain of Youth..That's right The Fountain Of Youth ! Yippee! Though its efficacy has never been proven in court (Boo! ), there is an actual site where Spanish explorer Ponce De Leon, searching for a fabled spring that would keep him forever young, came ashore in 1513. It's now an extremely pleasant 20-acre park, facing Matanzas Bay about a mile of central St Augustine. 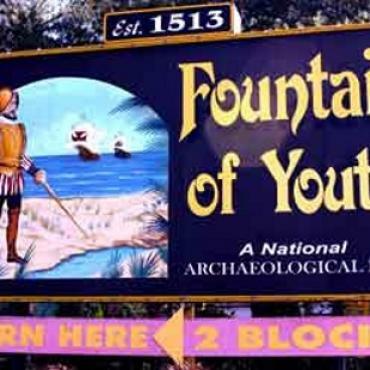 The Fountain of Youth opens daily between 9am-5pm and preserves a naturally sulphurous spring, a burial ground, and remnants of a native Timucan Village and an early Spanish settlement. Over the last 100 years, many thousands of guests have visited in order to sip the world famous waters and hear the history behind its legendary benefits.